We're happy you stopped by. Please find out more about us below. Scar Tissue Repair and Classic Massage Modalities. catering to mind and body wellness. We envision meeting every client with their unique needs in order to accomplish the goals they wish to achieve. We realize that there are many different styles of bodywork and retreats, so communicating and tailoring our time together is a must. Educating our clients on our knowledge base is a very important part of our job and what gives us the connection and foundation to expand from. Giving clients tools, techniques and referrals for a well rounded self care team is a value our clients can utilize for the rest of their lives. Everyday Grace Massage always strives to exceed client expectations on the road to a happy and healthy body. We provide thorough, detailed, quality-specific bodywork for everyday needs. We also lead heart centered educational cleansing retreats to maintain optimum health and wellness. When the human body is stressed or injured, the first quality to leave is the inherent grace that is the physical body in optimum health. As an owner-operated business, quality control comes easy. Client goals and feedback are the focus from the time an appointment or retreat is booked – and never ends. Feedback from clients is always encouraged and considered for each and every session or retreat. We realize those goals change from day-to-day, so we remain client centered and flexible with multiple skill sets on hand and ready to share. We include professionals for referral or as part of our retreats from many modalities of health care such as naturopathic doctors, colon hydro therapists, chiropractic, yoga therapy and acupuncture. Also known as NMT or Trigger Point massage, this modality is very specific and applies moderate to deep pressure. Chronic or acute pains in the body are relieved by working with this modality. This work incorporates techniques to interact with and interrupt the nervous system’s and the musculoskeletal system’s pain centers. This hands-on technique is deep enough to offer a profound sense of muscular relief, yet comfortable and relaxing as well. The therapist will communicate and work with the client during the session to ensure that just the right pressure is applied. This style of body-work is applied to address pain that exists in the body due to everyday lifestyle habits such as sitting or standing for long periods of time. The client enjoys being a part of pain relief with neuromuscular therapy by providing feedback for the therapist. The client will feel pain dissipate and leave the session with increased range of motion and relief from aches and discomfort. Erase the limits & keep the momentum. The benefits of sports massage include increased circulation, flexibility, increased range of motion and decreased recovery time. With sports massage you are preventing injury and increasing stamina. These are the most common reasons clients reserve a sports massage session or massage packages around their sporting event. Communicate & collaborate about your health care plan. Sometimes surgery and other physical disorders have already taken place. This modality focuses on repair of scar tissue and optimum skeletal function, targeting the injured site as well as tendons and ligaments. With a committed schedule of 6-10 sessions, clients find relief in situations that normally interrupt everyday optimum musculoskeletal health. Common ailments for this work are: Rotator Cuff Injury, Whiplash, TMJ Dysfunction, Carpal Tunnel Syndrome, Sciatica Pain, Spinal Injury, Scoliosis, Tennis Elbow and Tendinitis, Knee and Ankle Dysfunction, Hip Replacement and Scar Tissue Repair from surgery or augmentation. Dive into comfort central and increase circulation. Also known as Swedish or Circulatory massage, this modality is designed to relax muscles and increase circulation of the whole body, from head-to-toe. This massage style uses the application of lotion or oil and long flowing strokes, which aids the release of tension within each individual muscle. The technique delivers light to moderate pressure and is performed with direct contact to the skin. Clients are fully draped at all times with professional techniques that elicit trust and relaxation. Classic massage leaves the client feeling soothed, relaxed and grounded. Finding the pain doesn’t have to hurt but it will get to a deeper level. Experience your tensions melting away on a deeper level when your therapist uses broad and deep pressure mechanics of hand, thumbs and elbows. Accurate anatomical knowledge makes working deeply with slow and deliberate strokes extremely effective. This work is performed without oil and will focus on targeted areas of physical stress or injury – with overall ‘postural balance’ as the ultimate goal? of the session. Connect to the earth and stretch out. This modality of massage is received with loose and comfortable clothing on. Your therapist will work with Thai energy meridians and rhythmic pressure points to release musculoskeletal tension at each joint. The therapist performs yoga stretches combined with broad pressure that elongates the limbs and relieves pain. Thai massage rejuvenates and relaxes the body at the same time as creating greater range of motion for the whole body. Let go of and feel the stress leave the room. Energy work is an integral part of addressing the ‘whole’ being, relieving tension in both the physical and the mental/emotional parts of the body. Energy work helps release blockages of all kinds and reduces tension in the body. There are many names for energy work and Everyday Grace incorporates techniques from Reiki, Jin Shin Acu-Touch, Aura Healing, Matrix Energetics and Cranio-Sacral Therapies. The therapist connects the body’s meridians to create flow where there has been stagnation or blockages. This is a very relaxing modality that calms the mind and body, resulting in feeling refreshed, relaxed and nurtured. This modality is very good for someone who prefers not to be touched with oil but wants these benefits. Embrace the change, feel great & prepare to give birth. After the first trimester, massage is a great benefit to expectant mothers. Great care and extra consideration are taken with pregnancy massage. The therapist employs the specific knowledge base for this style of work and assists the new mother in changing and preparing for labor. Post Natal massage is also extremely beneficial to assist the body after the birth of a child. Ask about our Doula Offerings and Pressure Points for Labor. Benefits of massage in the workplace are many. Massage in the workplace is beneficial for any corporate office setting, as well as for a sporting event, holiday party, or social gathering. Corporate chair massage lowers injury rates in the workplace and increasing productivity, so there is no reason not to sign your company up for massage in the workplace! Everyone thrives when they feel appreciated. Everyday Grace Massage will meet you in person to make sure all details are covered so we can best serve your group or event needs. Please ask for professional referrals when calling to set up our initial visit. Ask about our Special Wedding Packages! We provide specialized, all-inclusive retreats catering to mind and body wellness. Discover the best of yourself as well as the highlights of the area you are visiting – as you retreat from your daily grind and connect to the peace within. With Everyday Grace Retreats you be guided on all aspects of wellness; body, mind and spirit as we explore highlights of nature in the area. Through guided Meditation, Qigong, Massage and cleansing practices you will discover the peace of your true essence. We are a part of nature so including nature settings and walks or hikes will be a small part of your time on retreat. With professional staff of Naturopathic Doctors, Qigong Instructors, Colon Hydro-therapist, Nutritionists and Acupuncturists you will learn more about the art of self care and how to form a self care team when you return home. Booking an extended retreat, you will discover more wellness activities that explore wellness and nature. Please let your guide know your activity level before arriving. Your professional team will vary depending on how remote the retreat location is however information for the topic will be presented by professional in the field represented and given to all participants to take with them. Rhonda-Grace, LMT. HHP. NCTMB. RYT, is a Nationally Certified Holistic Health Practitioner and Primary Teacher in the San Diego area. She is a practicing Doula and holds her 200RYT training from School of Yoga Institute. 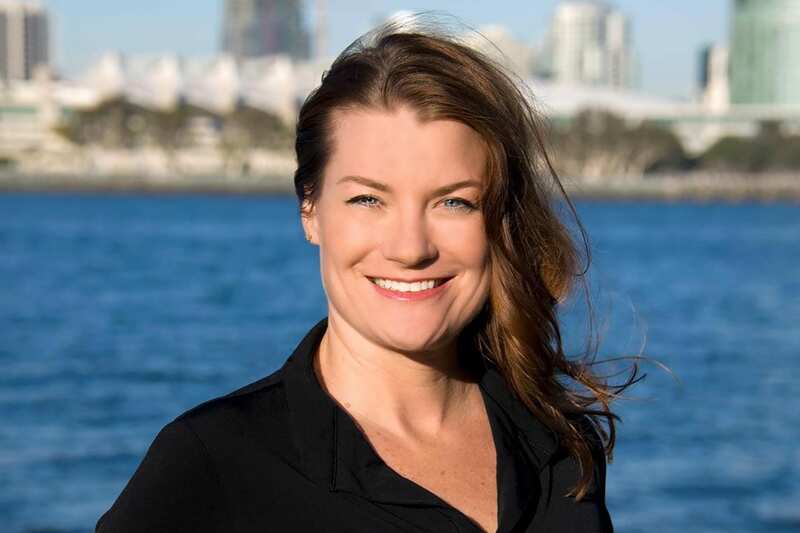 Her 22 years of professional practice in the field of Holistic Health, Massage and Bodywork includes 16 years of professional hands-on work in San Diego. She has also lead lectures and workshops locally and internationally in the past 16 years in Client Communications. Rhonda’s specialty is sports massage, and she incorporates Neuromuscular Therapy as her teaching specialty with a focus on injury prevention and injury recovery. She caters to a range of professional clientele from the NFL, heavyweight body builder champions, personal trainers and business professionals in the San Diego area. She has many years of experience teaching Client Communications, Neuromuscular Therapy and other massage modalities, while also running her private practice. She can periodically be found leading cleansing self-care retreats in beautiful San Diego, Central Oregon, and Baja, Mexico. Rhonda’s studies include herbal medicinal courses, cleansing and fasting programs that include 2,000 hours working to assist naturopathic doctors, healers, master acupuncturists, chefs and nutritionists with overall self care techniques and cleansing protocols. Rotator Cuff Injury, Whiplash, TMJ Dysfunction, Carpal Tunnel Syndrome, Sciatica Pain, Spinal Injury, Scoliosis, Tennis Elbow and Tendinitis, Knee and Ankle Dysfunction, Hip Replacement and Scar Tissue Repair from Surgery. Client testimonials are a great way to determine if a particular therapist or massage modality is right for you. Please download, complete and submit this form before your appointment. We appreciate and thank you for your time. inherent grace that our physical exudes in optimum health. We hope to see you soon.